2017 is about to conclude in a few hours and now is probably the best time to round up everything that made this year worth reminiscing. Over the past years, I've shared with you my favorites in skincare and makeup but this time I thought of adding more categories like body/hair care, tech stuff and travel. This way, you can just choose to browse a category you like instead of going through tons of products or information that don't really interest you. Hohoho everyone! It's just a few more days until Christmas. I've already wrapped a few stuff to give as gifts but I haven't really bought anything for myself that's worth sharing. So I decided to browse my vanity and see which products I missed reviewing. The first thing that caught my eyes was the Laneige Water Sleeping Mask. If you're interested to know how this cult favorite fares as a skincare product, especially on combination skin, then you're about to find out. With the holidays fast approaching, I can just imagine how stressful it is for moms and home makers out there to plan the family dinner on Christmas eve and new year's eve. Everyone wants to make this once a year event a day to remember hence most households make it a point to plan ahead. 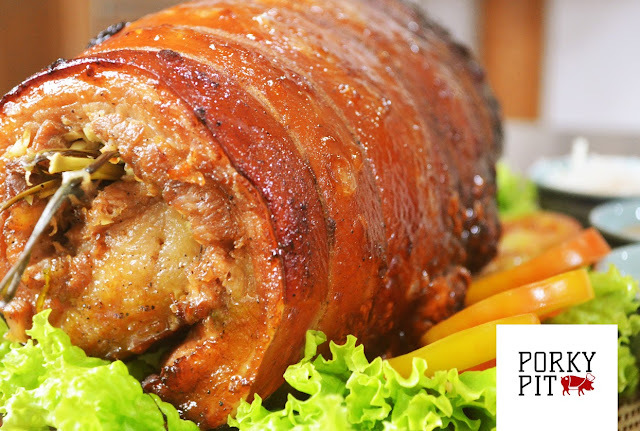 What better way to make any occasion festive than including a signature pinoy dish, the lechon. Growing up in a family of meat lovers, it's surprising how I'm not so much into eating this popular dish. I actually prefer lean meat and every lechon dish I've tried don't taste as flavorful without the sauce. Then came Cebu lechon, now that's a totally different story! I got to taste one during our short visit to Cebu a couple of years back to attend a symposium. Since then, I would always ask what kind of lechon is being served before skipping the carving station in the buffet. Fast forward to last week, together with other lovely blogger friends, I got introduced to the newest Cebu lechon in town by Porky Pit. Hello everyone! It's just a few more days until Christmas and I'm still on the lookout for gifts. I've been to 3 different malls in the past weeks but haven't really bought anything yet hoping I could find better ones elsewhere. Good thing I had to be in Makati for an event because I really want to see what other malls have. Anyway, it's been a while since I last set foot in the country's business district particularly in Makati Shangri-La Hotel. I've been there before to attend several occasions and I'm impressed that it's still as beautiful as I remember it. Hey everyone! A close friend recently told me how exhausting my bag looks. You see, I always make sure I have everything with me which is probably why I bring tons of stuff around. I habitually bring two bags to work, one for my essentials (wallet, cellphones, makeup) and another for the rest of my personal belongings (gadgets, medical tools, umbrella). Lately I've been trying to limit the stuff I bring with me which is why I'm decluttering the first thing I can't leave home without, my makeup pouch or kikay kit as most of us call it. Hey everyone! I'm back with another empties haul for today. I've actually been using up every stuff I have opened whether hair care, skin care or makeup just to be certain I'm not wasting any in storage. Although I still try new products here and there, recently I decided to use just one of each kind. I chose the title "gone too soon" because of several reasons I'll be disclosing as I feature each product. Have I got you intrigued yet? Good! So without further introductions here are my product empties. Hello lovely readers! I can't believe it took me a while to post a review on a beauty product I've been loving from day one. I am referring to Milani Make It Last Setting Spray. I don't regularly use a setting spray so it normally takes months before I empty one. My very first crack at it was with the MAC Prep & Prime Fix+ which I didn't get to review mainly because it didn't fascinate me enough. I also have with me an open bottle of the NYX Dewy Finish Setting Spray but nothing compares to my experience with Milani. Hey everyone! I'm back with another travel blog and this time I'm featuring a beautiful place in the south, The Farm at San Benito. We had the privilege of staying for three days in this wonderful sanctuary and I have to say that it's an experience worth sharing. Hey everyone! I'm back with another review and this time I'm featuring a product you can conveniently buy online from Sephora Philippines. I think every beauty enthusiast in the country rejoiced over Sephora Philippines' debut in 2016 and it has since then been one of my go-to online shops. I checked out their site during the recently concluded National Lipstick Day and ironically ended up not getting a lipstick but got a few skincare stuff instead. I'm only featuring one item because I think it deserves an entire post rather than a quick mention. This product is none other than the Caudalie Beauty Elixir. Hey everyone! I'm here to make a review on a product I admittedly bought without batting an eyelash simply because it was recommended by a celebrity. I am talking about the Too Faced Melted Liquified Long Wear Lipstick recommended by the queen of talk herself, Miss Kris Aquino who's now invading the You Tube scene with her lifestyle know-how. Hey everyone! I'm back with an empties post which is very timely because I've finished a pile of skincare products recently. Since I started doing the 10 steps to Korean skin care, my stockpile of used products have doubled, making it a little more challenging for me to keep the reviews coming. You know how we sometimes put off doing a task until it's too late and you end up skipping it completely? I tend to have those with newly acquired products which is why I decided to do an empties post instead to let you in on what I've used up in the past months. If you're a frequent reader of my blog, you'd know how much I love to try new products especially those related to skincare. This is why I always keep an eye on great discounts in the beauty section of Landmark and SM every chance I get. Problem is, there are many must-have products not available in the local market. Luckily, we now have reliable online shops that cater to our various needs. Hello everyone! I'm back with another travel essentials haul and this time I'll be sharing with you some tips and a few tricks I learned during our recent trip to Disney World in Orlando. We've been to Disneyland in Hong Kong a couple of years back but I tell you, Disney World is a whole new jungle (at least for me and Sam). I'll be mentioning essential things to bring with you and a few tips on how to save time and money while on tour. So if you're interested in making the most out of your Disney World adventure, sit back and read on. Admit it, we Filipinos love beauty competitions. Whenever I get to watch one, I think of it as admiring beauty in different forms. Although I'm quite guilty of leaning towards the aesthetic sense of beauty, witnessing the candidates of Miss Philippines Earth pour their hearts out and share their advocacy gave me a better grasp of what having beauty with a purpose truly means. Hey everyone! I can't wait to start reviewing a skincare line that in my opinion is so underrated and truly deserves a great deal of attention. I am talking about Garneir Skin Active products particularly their Clearly Brighter line. 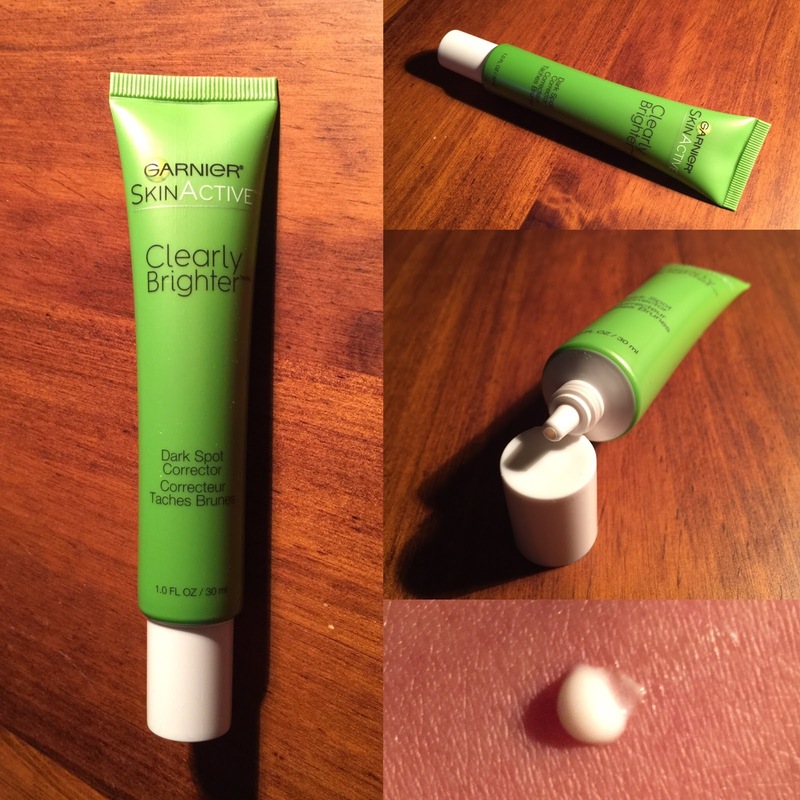 Before visiting the US, I was all set to look for Garnier's highly coveted dark spot corrector. I learned about this product from a good friend who swears by it and since it's not available in the Philippines (why oh why Garnier??? ), this made it to my must-buy list. Hey everyone welcome back to my blog! It's been raining in the afternoon for the past days so I hope you guys stay safe on the road and take good care of yourselves always. Since I've been reviewing makeup and skincare products the entire time, I thought of starting this month with a lifestyle entry instead by sharing with you a what's in my bag post. I've seen others do it on YouTube and I actually enjoy the new things I discover from what others carry in their purses so I hope I can do the same for you, my beloved readers. Let's get it on shall we? Hey everyone! Today's post is not the usual stuff I write about so please bear with me on this. While in the US and in between visiting friends and family, there were several days when I had to stay home while hubby was at work. After accomplishing daily errands, I was often left with a few hours to spare. I initially took the free time updating this blog but I was still left with more time to kill especially at night while waiting for my other half to arrive. Hey guys! A week ago, hubby and I went to Walgreens and the variety of beauty products on display blew my mind off! One long aisle that stretches from the entrance down to the back of the store is solely dedicated to makeup and accessories alone. I wasn't planning on adding more stuff to my growing stash of drugstore makeup and skin care products so I ended up getting just two, one of which is the Neutrogena revitalizing lip balm sunscreen SPF 20. I tend to stay away from posting reviews on products that aren't widely available in Manila but I really have to let this one slip. During our visit to relatives in Florida, we got to see several shops but the best one for me of course is, without a doubt, Bare Minerals. Since this brand has no flagship store in Manila and online sellers tend to sell them for twice the original tag, I didn't think twice and got myself the Bare Minerals Get Started Complexion Kit. Hey everyone, I'm on my first month in the US and so far it's been a bliss. Aside from reuniting with family and friends, one of the best things to enjoy in a foreign country is the cool weather. Although being in a cold place has its perks, I've noticed how it's taken a toll on my skin. My face has been looking dry and flaky but that's another story which I'll be posting in a different entry anytime soon. Hey everyone! I'm recently loving the look of foundation and concealer on my skin but because I've been a BB Cream junkie for so long, I honestly don't know much about foundation and concealer. This is why it excites me to discover the ones that work well on me. I've tried a number of foundations and a couple of concealers but I'm still on the look out for more. So when I set foot on a Target branch in Florida one fine day, I knew exactly where to go and what to get. Every skincare and makeup junkie out there can understand how thrilled I was after finally stepping inside an ULTA store. I was in awe seeing the display of various brands and products that I literally gasped. There was just too much to see but I had to browse through them quickly since we had to leave for a lunch meeting with friends. Hey everyone! It's been ages since I last written an entry which is why I'm about to flood this post with an ample amount of excuses. Seriously though, I'm currently on vacation and the first thing I thought of sharing with you guys are tips on how to make traveling a little less painful than it has to be. Hey everyone! I was at Watson's in SM North a few days ago doing my usual rounds along the beauty section. It's actually a common thing I do to release stress and make sure nothing escapes my radar when it comes to new beauty releases. Good thing Watson's never fails to surprise me with amazing stuff to try like the Real Techniques Miracle Sponges by Sam & Nic Chapman. Honestly, I look up to the Beauty Blender as the best sponge applicator in the market. My very first was a "requested" gift from a friend and the price is too painful to bear that I've been trying to look for more affordable alternatives. Sadly, none of the ones I've tried comes close to the superb quality of the beauty blender. I was about to quit looking until I found good reviews on the Real Techniques miracle complexion sponge. Since my beauty blender is fairly new, I didn't jump right in and buy the RT miracle complexion sponge. Hello everyone! I'm back with a review on a product I've been using for quite a while now, the Laneige BB Cushion Whitening with SPF 50+ PA+++. I only got to appreciate it recently because the shade I have (23 sand) looked too fair on my tan skin in the summer. Good thing my complexion is back to its usual medium shade which turns out to be a better match. Hey everyone! Today's post is about a beauty tool that I've been longing to have since the day I laid eyes on them. I am talking about the Aesthetique Revitalize Microdermabrasion Device, your very own personal exfoliating tool. Happy new year everyone! This is the second installment of my 2016 favorites and now I'm featuring the best makeup products I've encountered the past year. Just to give you a background, I'm actually more of a skin care than a makeup junkie which is why I'm making a disclaimer that the products I'll be mentioning are the best of the ones I've used so far. I don't regularly use a primer but whenever I feel like I need my choice of foundation to hold up, I always reach for The Style Silky Soft Base by Missha. It's actually a gift from a dear friend who knew I needed a really good primer. I love how this product easily applies on my face and blurs out my pores hence providing a smooth canvas for my foundation. This primer effectively keeps foundation in place and helps keep oil at bay.